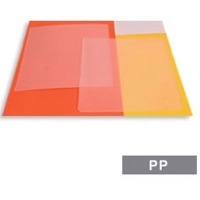 Polypropylene (Pp) by Genpack Co., Ltd.. Supplier from Viet Nam. Product Id 656386. Duprene belongs for Polypropylene products specially processed with characteristic properties to suit a wide range of array of applications. Duprene is among the most versatile product and is commonly the gateway to engineering plastics. Duprene PP Solid Rod Specification: Standard Length 1000 mm Diameter up to 320 mm Welding Coil approx. 1 kg/Coil Features: Low moisture Absorption Excellent Acid & Chemical resistance Suitable for Thermoforming Heat Resistance Excellent Abrasion resistance Higher scratch resistance compared to HDPE Good Fatigue resistance. 1. Thickness:2,3,4,5,6,8,10,12mm 2. Size: 1220*2440mm, 1000*2000mm, 800*2000mm (as customer¡¯s specific request) 3. Weight: 200-3600g/Sq.meter 4. Color: white, black, blue, green, grey, red, etc (as customer¡¯s detail requirement). 5. Available: Conductive corrugated sheet/board, Antistatic corrugated sheet/board, Flame-retardant corrugated sheet, etc. Wooden crates and PE film. Search More Like "Polypropylene (Pp)"